As a partner at Girardi and Keese, James G. O'Callahan handles plaintiff civil litigation. He has tried product liability, bad faith, medical malpractice as well as personal injury cases. 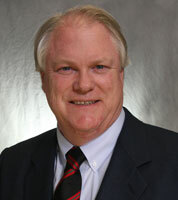 Mr. O'Callahan has over thirty jury trials, and has tried cases in both State and Federal Court. Since 1995 Mr. O'Callahan has served as an arbitrator and mediator for the Los Angeles County court's Alternate Dispute Panel. He has lectured at continuing legal education programs on product liability cases, pharmaceutical litigation, evidence, handling medical malpractice cases. He has also been selected to participate in ABOTA's "Masters in Trial" program. He served as the California Liaison to the DePuy ASR MDL as well as on the Plaintiffs' Steering Committee for the California DePuy ASR JCCP. He presently serves on the Plaintiffs' Steering Committee for the Actos JCCP and previously served as Plaintiffs' Liaison Counsel in the Vioxx JCCP. Mr. O'Callahan obtained his undergraduate degree in American Studies graduating with honors. He was a Rotary Foundation Fellow at the University of Sussex.